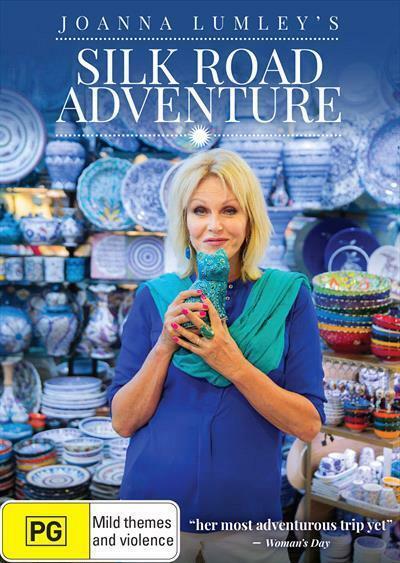 Joanna Lumley embarks on a grand and challenging journey into the heart of the Silk Road. This transformative super-highway brought silk, gunpowder, paper and pasta, among many other things, to the West. Starting in Venice, birthplace of the Silk Roads most famous traveler Marco Polo, Joanna moves on to Albania, Turkey, Georgia, Azerbaijan, Iran, Uzbekistan and Kyrgyzstan, taking in beautiful cities and stunning landscapes. She visits fantastical Cappadocia in Turkey, the glorious Silk Road city of Samarkand in Uzbekistan and the ancient cities of Isfahan and Shiraz in Iran. Along the way, Joanna meets silk weavers, whirling dervishes and the eagle hunters of Kyrgyzstan’s Tien Shan mountains.